Scioto County Sheriff Marty Donini issued a Level 1 Snow Emergency for travel just before 3:00 AM Sunday morning due to snow and ice covered roadways. 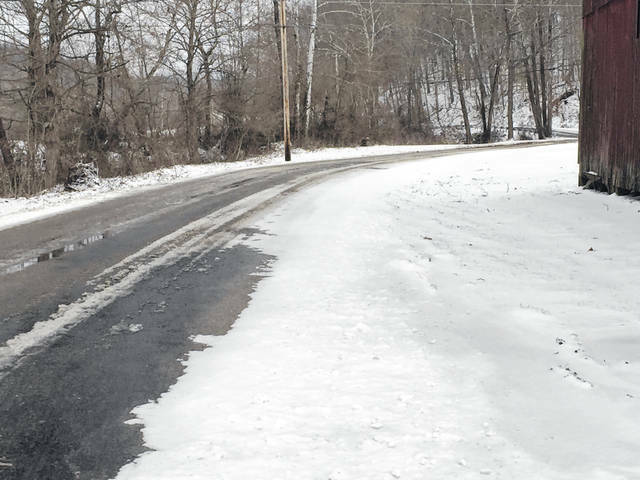 Scioto County Engineer Darren LeBrun was reporting at 7:00 AM Sunday that his crews had completed snow patrols and they would be making a second round on the patrols with treatments later Sundaymorning. to get everything to melt off with the forecasted temperatures. two to three inches of snow fell on a glazing of sleet and freezing rain overnight posing very slippery conditions for walking and driving Sunday. The National Weather Service has cancelled the Winter Weather Advisory as accumulating snow has now moved off with flurries remaining Sunday morning. A Special Weather Statement was issued concerning dangerous windchill temperatures for anyone who ventures outside for long with the real feel temperatures below zero due to temperatures in the single digits and teens for the period and gusty winds which can blow around snow covering rural roadways. The sheriff warned residents to exercise caution if you must be out and about and dress warmly and if you don’t have to venture out it might have been a good day to stay inside!